Mad Media excels at delivering brand messages across multiple platforms. MetalStorm Entertainment brought us in very early in the development and production process of the new Quicksilver film titled BURN. Our film division worked with them on editing, color grading, execution of graphic animation, as well as unique multi-language DVD authoring. Our print department designed the title logo for the project, created the DVD label, box cover, designed the films poster, direct mail pieces and a custom 3D POP display for counter-top sales. 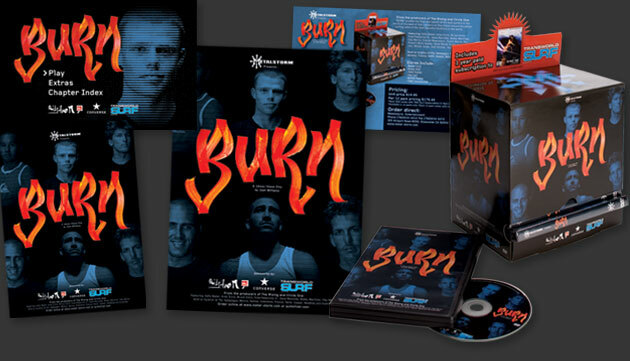 BURN features some of the top surfers in the world and is sold throughout the United States as well as internationally.